Planning a trip with a special needs traveler requires a bit of extra preparation. When traveling within the US, it can come in handy to be aware of your rights! If you plan to travel with medical equipment or a service animal, be sure to do some research beforehand. 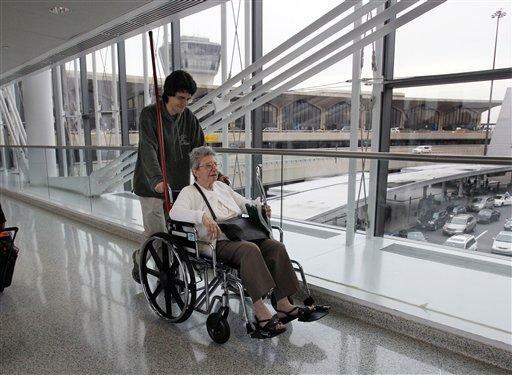 If you’ll be traveling with medical equipment such as oxygen, medications, or disability-related aids and devices, be aware that some items may have to be declared to a TSA officer to facilitate a quick and efficient screening process. For a full list of equipment and devices that are allowed on domestic flights, visit www.tsa.gov. If you plan to cruise or travel by train/other public transportation, it is a good idea to contact in advance your specific cruise line or customer service center to inquire about your special needs equipment. If you are traveling within the US, you are almost always permitted to travel with a service dog. 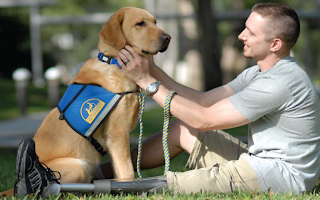 The Department of Transportation recently amended it's definition of a service animal to mean "any dog that is individually trained to do work or perform tasks for the benefit of an individual with a disability." By law, airlines are required to accommodate your service dog. Additionally, travel with a service animal is not subject to additional fees. In terms of public transportation, restaurants, stores, public buildings, etc., regulations about service animals and where they are allowed differ from state to state. Most states allow service animals in all public areas, including buses, trains, elevators, hotels, places of recreation, etc. To view a complete list of regulations for your state, check out this informative site. The American with Disabilities Act, signed into law in 1990, is an extensive civil rights law that prohibits discrimination against those with disabilities. If you or a loved one has special needs, it’s a great idea to review this legislation! www.ada.gov is also a fantastic place to begin your research. Be aware that the regulations mentioned above are only applicable to domestic US travel. When traveling outside of the States, be sure to inquire about your destinations’ local laws. Special Needs Group/Special Needs at Seas is the leading global provider of wheelchair rentals, scooter rentals, oxygen rentals and other special needs equipment rentals. Recommended by the world's major cruise lines for superior service and value, Special Needs Group also services guests visiting hotels, resorts, theme parks and convention centers. For additional information, visit www.specialneedsatsea.com.